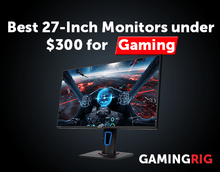 Top Gaming Monitors Under $300 – 144hz, 1080p, 4k, 120hz and More! Best Monitor Under $100 for Gaming and more ! Best Gaming Monitor Under $150 – Budget Friendly!